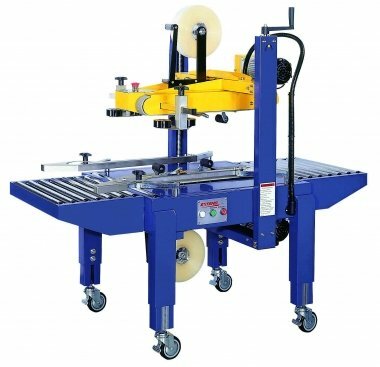 The CT 103 TB is a case sealer, with top/bottom drive, using PP or PVC tape. After the box is fed in manually, top and bottom are closed automatically. Converting to another box size is easy and fast, due to the adjustment of the side drive and the adjustment of the height of the box.